The Goldman Sachs Group Inc. logo is displayed on Dec. 22, 2018. Goldman Sachs asked a federal judge to force more than 1,000 women from a gender discrimination class action to arbitrate their claims, but attorneys for the women say they shouldn’t be kept out of court. At the root of the dispute in the U.S. District Court for the Southern District of New York is a long-standing lawsuit alleging that the financial giant had a pattern of promotion and pay practices that created an unequal playing field for women, compared to their male peers. Class certification was granted in the case in March 2018, when Judge Analisa Torres pointed to statistical evidence of discrimination in pay, promotions, and performance evaluations, as well as anecdotal evidence of a hostile work environment. But now, the bank is attempting to weed out the vast majority of the women in the class, citing arbitration agreements the women signed. On April 12, Goldman’s attorneys filed a motion to compel arbitration for 1,082-plus members of a class projected to include more than 2,000 women who signed employment contracts. Sullivan & Cromwell and Paul Hastings represent Goldman. The attorneys didn’t immediately respond to request for comment. The dispute over arbitration comes as the practice has been under increased scrutiny in the wake of the #MeToo movement. Several large companies, including Google, Facebook, and Airbnb, have eliminated forced arbitration in employment agreements in cases of sexual harassment and other discrimination charges. Meanwhile, the U.S. Supreme Court has in recent decades bolstered arbitration clauses in employment contracts. The Goldman Sachs attorneys cite a 2013 decision by the U.S. Court of Appeals for the Second Circuit that said one of the original plaintiffs, who was a managing partner, would have to arbitrate her claims. Attorneys with Lieff Cabraser Heimann & Bernstein and Outten & Golden represent the class of associates and vice presidents. They argued that any agreements signed after the lawsuit was filed in 2010 aren’t valid because they were required to alert the employees that there was a pending class action, according to court documents filed April 12. The firm has several pending class action gender discrimination cases pending, including an appeal for certification against Microsoft Corp. in the Ninth Circuit and another against Google Inc. in a California state court. 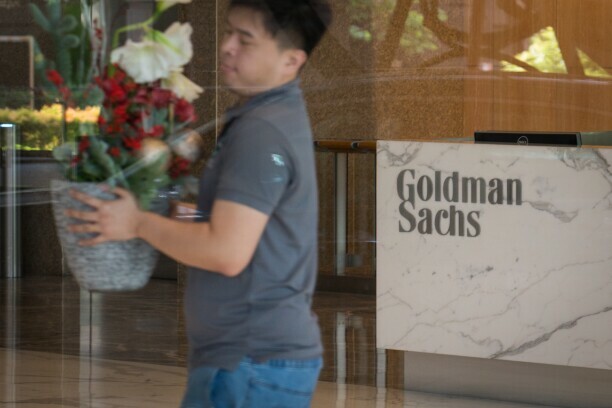 Goldman says the group that should be forced into arbitration includes 187 women promoted to private wealth adviser positions and 201 promoted to managing director in exchange for agreeing to arbitrate. It also includes 694 who received discretionary, equity-based compensation to relinquish their right to pursue claims in court, and an undisclosed number who received discretionary severance benefits when they promised to arbitrate. All of the women are “sophisticated and highly paid professionals” capable of understanding the rights they were foregoing by agreeing to arbitrate, the bank says. The 1,082-plus women won’t be prejudiced by being ordered to arbitrate at this point in the case, Goldman says. They all became aware of the gender bias claims asserted against Goldman and their need to arbitrate their individual allegations through the course of litigation and as a result of the “extensive press coverage” the case has received, the bank says. And there’s no evidence here that the arbitration agreements were used to reduce or eliminate class participation, secured without providing something of value in return, or imposed on “vulnerable class members,” Goldman says. The case is Chen-Oster v. Goldman, Sachs & Co., S.D.N.Y., No. 1:10-cv-06950, motion to compel arbitration 4/12/19.